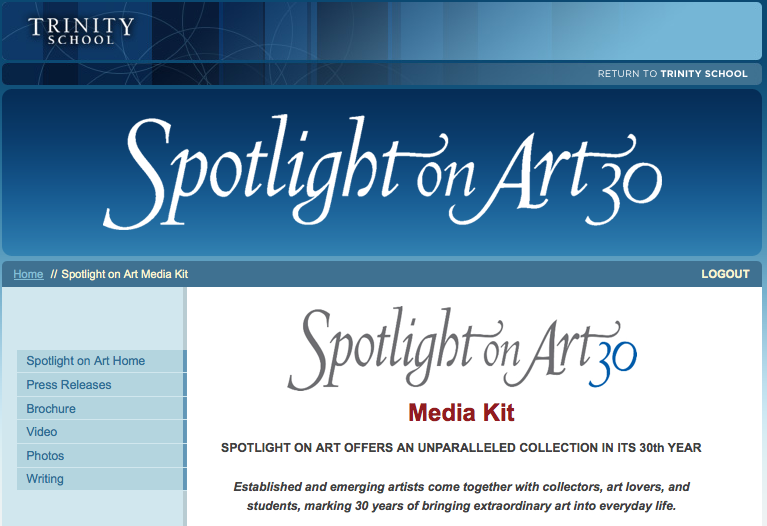 During Spotlight on Art 2011, I was asked to create a microsite with a specific URL. 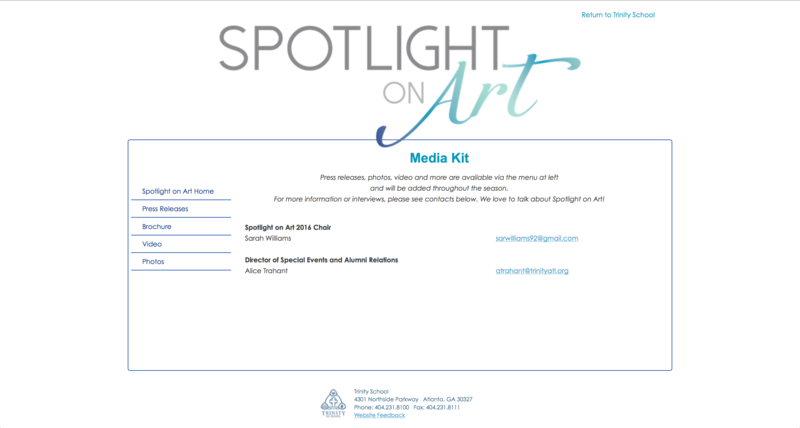 After enabling hosting for that domain name (spotlightonart.com), I created the page and used a frameset to mask it, making it so that the main page could remain on the server for www.trinityatl.org. In 2015, I updated the site’s look and feel with the organization’s new color palette and logos. It was requested that the site take on a less “boxy” look.